Disclosure: We were invited to this hotel on a dinner, bed and breakfast basis for the purpose of this review however all opinions are my own. Last weekend we were invited to The Old Ship Hotel in Brighton for the night. 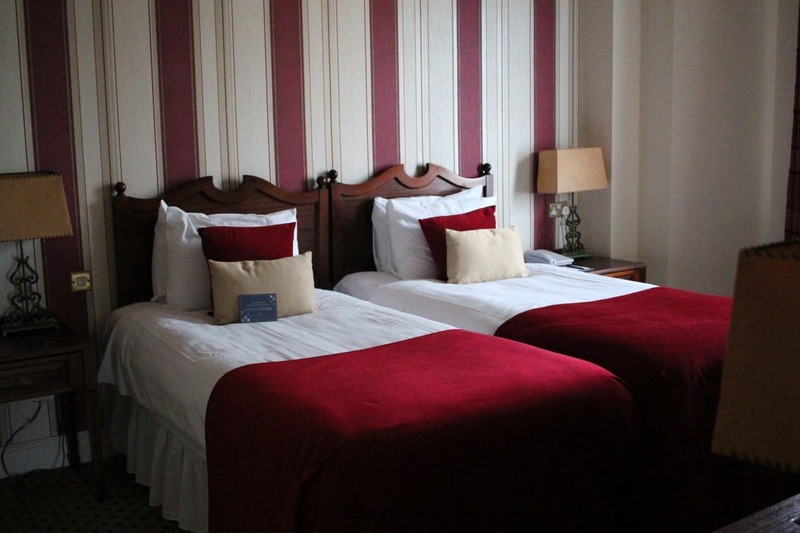 The Old Ship is one of the oldest hotels in Brighton – dating back to 1559. I love Brighton but hadn’t been in a few years and I love a bit of history so The Old Ship Hotel was quite an exciting prospect for me. 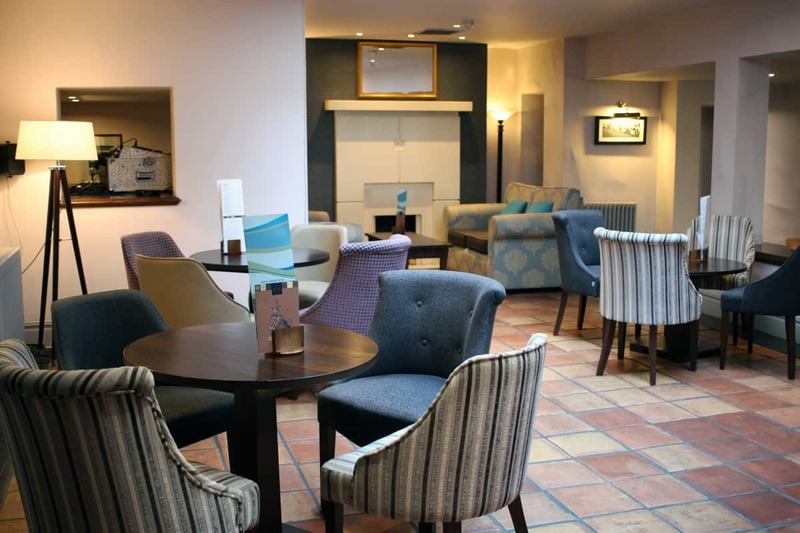 What were our first impressions of The Old Ship Hotel Brighton? 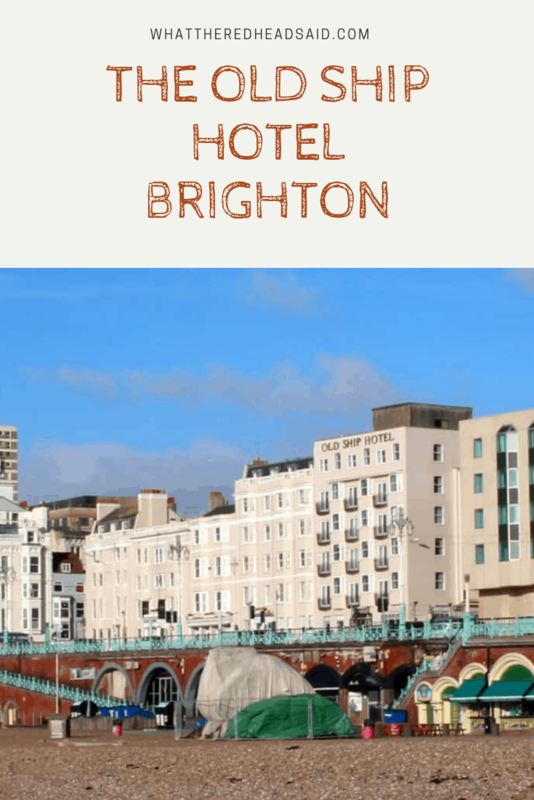 The Old Ship Hotel is right on the Brighton seafront and we found it easily. Plus, it had its own parking which is available at an additional charge but definitely a bonus to have parking available on site. When parking, you do leave your car keys with the parking attendants but this wasn’t an issue for us and our car was in perfect condition when we left – there’s even the option of having your car cleaned during your stay too. 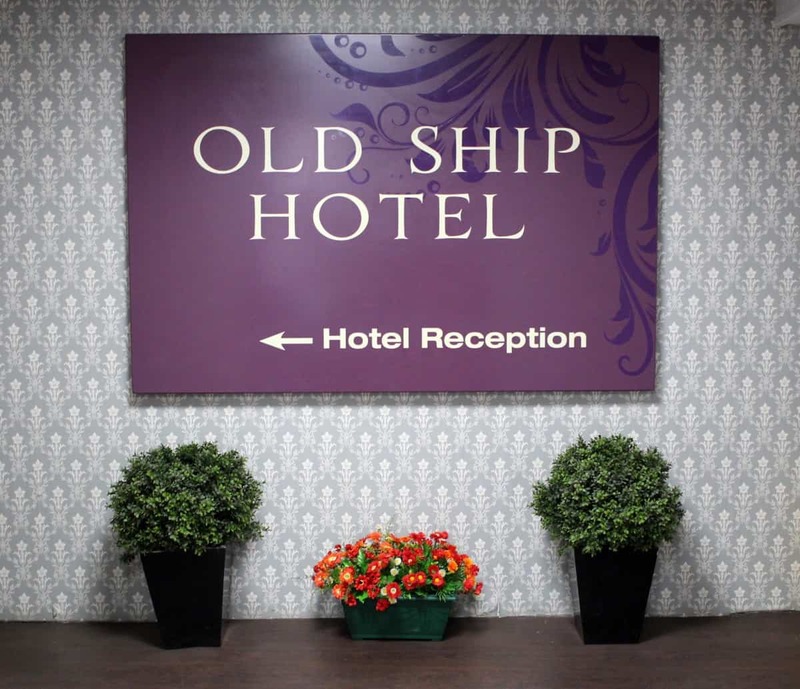 Rooms at The Old Ship Hotel are available from 3pm. We arrived at midday, checked in and the staff were happy to keep our bags for us until our room was ready – which we were told would be at about 1pm. We went for a wander until our room was ready and appreciated that it would be earlier than the standard time. When our rooms were ready we picked up our keys and made our way to our room. The hotel is situated over five floors and there are a lot of different areas to the hotel – and multiple staircases – due to the hotel expanding over time. But, once you know where your room is it’s easy to find it again and make your way around the hotel. It’s a big but well laid out hotel that we navigated easily. There was a lift to our room which was just big enough to the four of us and clearly quite a classic feature of the hotel. We found it squeaked continuously and was pretty slow so ended up only using it on our way up to our room – on our way downstairs we used the stairs instead which didn’t take too long and was great exercise! 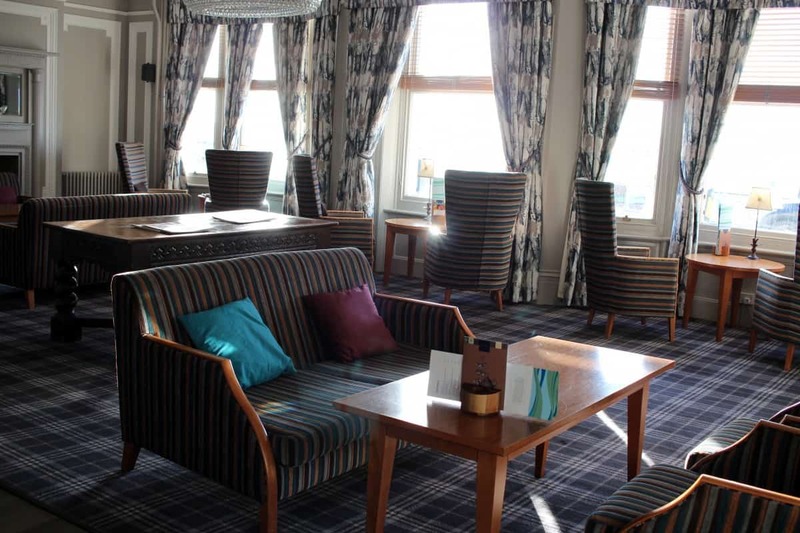 What was the family room like at The Old Ship Hotel Brighton? Our room was a Deluxe Sea View Double Room with a Standard Twin Interconnecting Room for the children. Both of the rooms were really nicely decorated and so lovely to spend time in. They had seating areas, lots of side lights, TVs and tea and coffee making facilities. Our room even had fluffy robes in the wardrobe and both rooms had traditional, compact bathrooms – with an actual bath, which is something we always appreciate when travelling as a family. 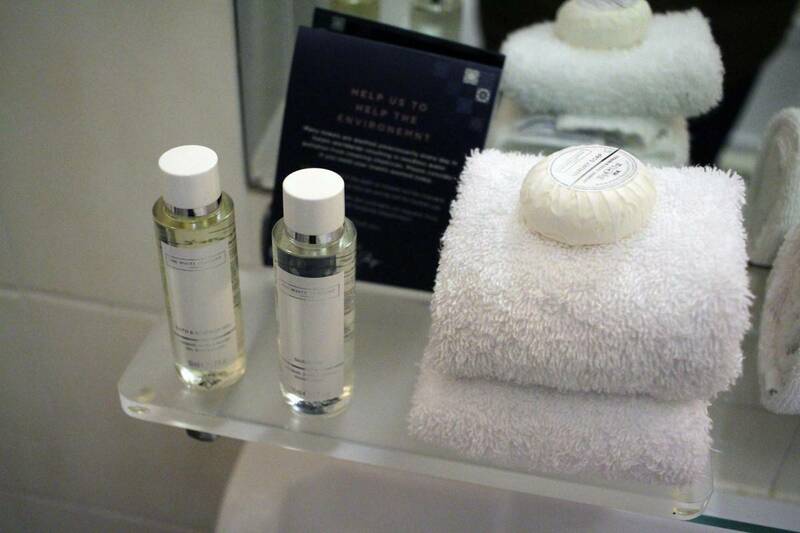 There were complimentary toiletries and plenty of towels. The shower didn’t have great pressure but was nice and hot and the bathrooms were adequate for us as a family. What were the dining options like at The Old Ship Hotel Brighton? 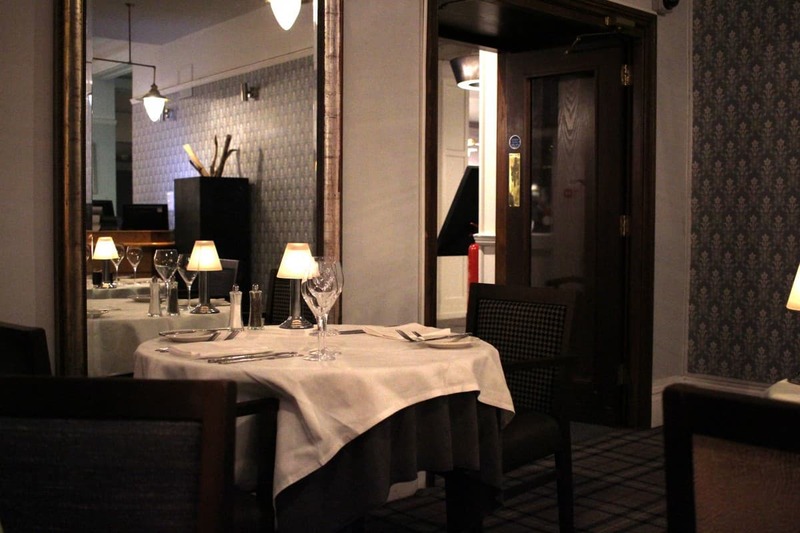 We had dinner in the hotel’s Steak on Sea Restaurant and were immediately blown away by the ambience. There were candles on the tables, white tablecloths and although it looked out onto the Brighton seafront it was lovely and quiet. It was a really lovely place to have dinner. It was just off the hotel’s main bar but that was also a lovely place to spend time – not too busy or noisy at all. 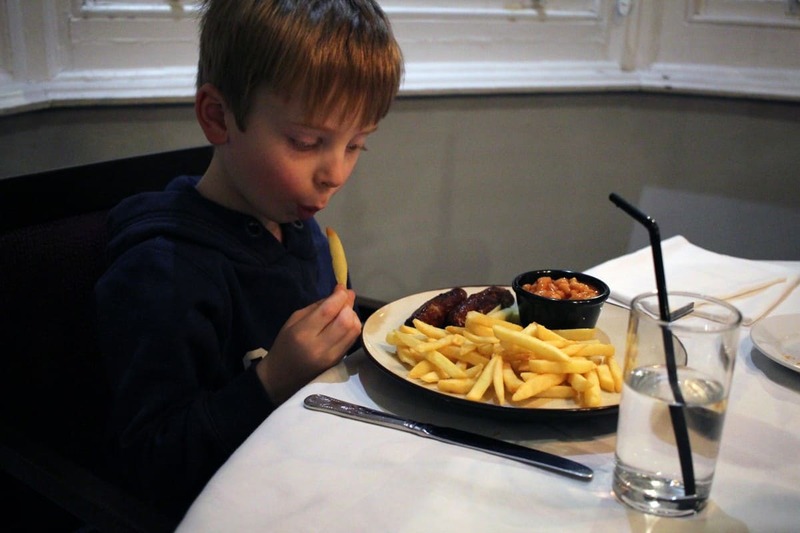 The children had a great menu, full of favourites like fish and chips, chicken goujons, pizza and sausages – and the children chose chicken goujons and sausages which were served with a choice of two sides. 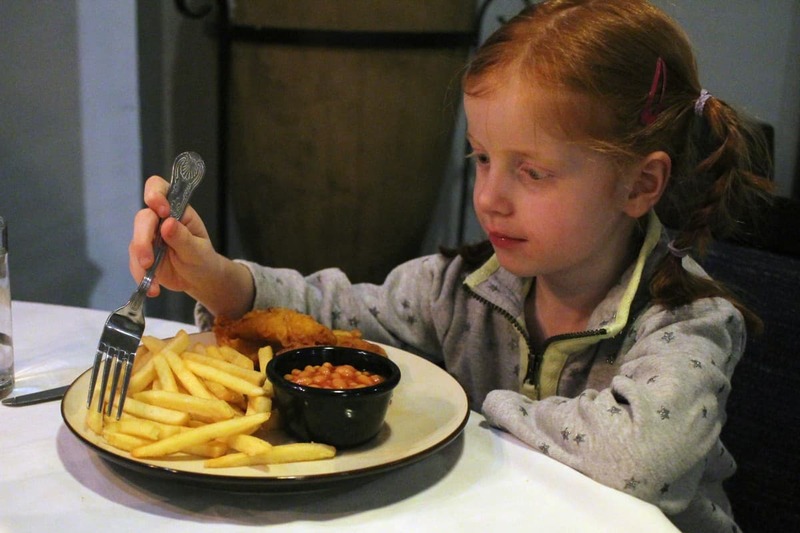 Both the children chose beans and chips but they did also offer things like vegetables and a side salad, baked potato or sweet potato fries. The children’s meals were a really good portion size and they both really enjoyed them. 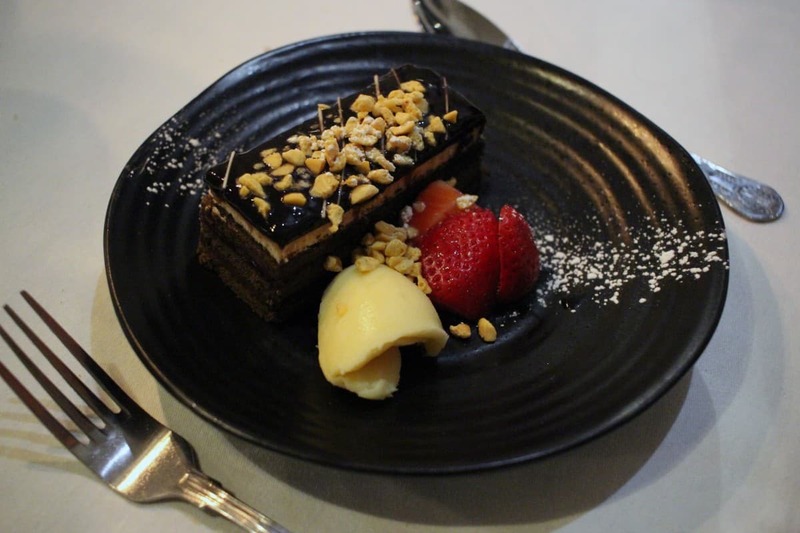 They were offered sauces and throughout the meal they were treated the same as us, being spoken to and asked what they would like directly – the staff did a great job. For our starters I chose the Mussels in a clotted cream and cider sauce. 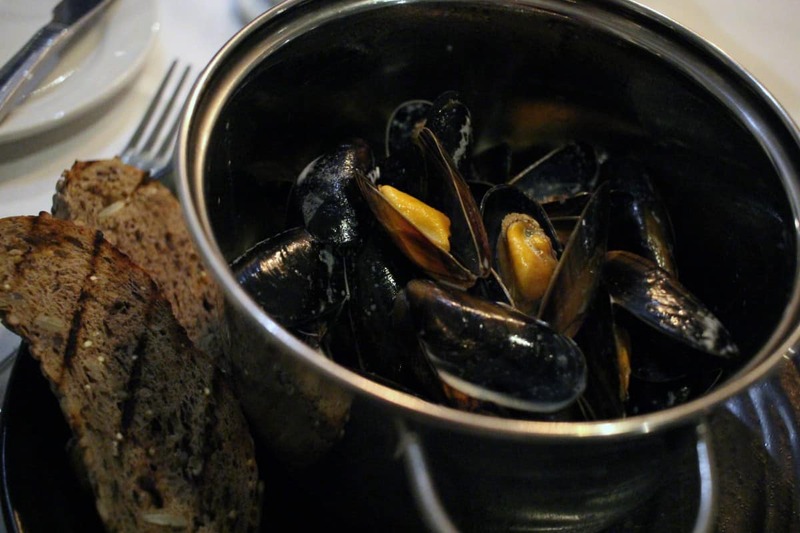 This was the first time I’d had mussels in a restaurant and they were lovely! Served with bread and a huge portion size, they were the perfect seaside starter. 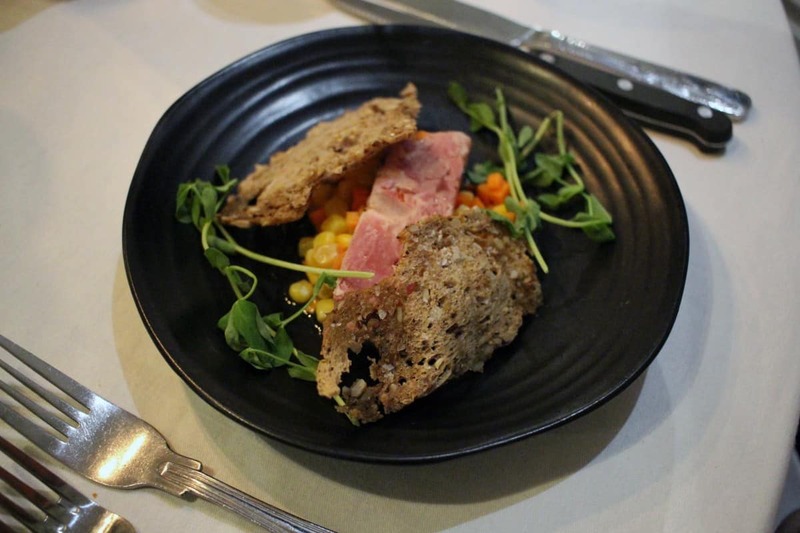 Dave went for the Ham Hock which was served with pickled vegetables and crisp bread. The flavours worked really well together and he really enjoyed it. 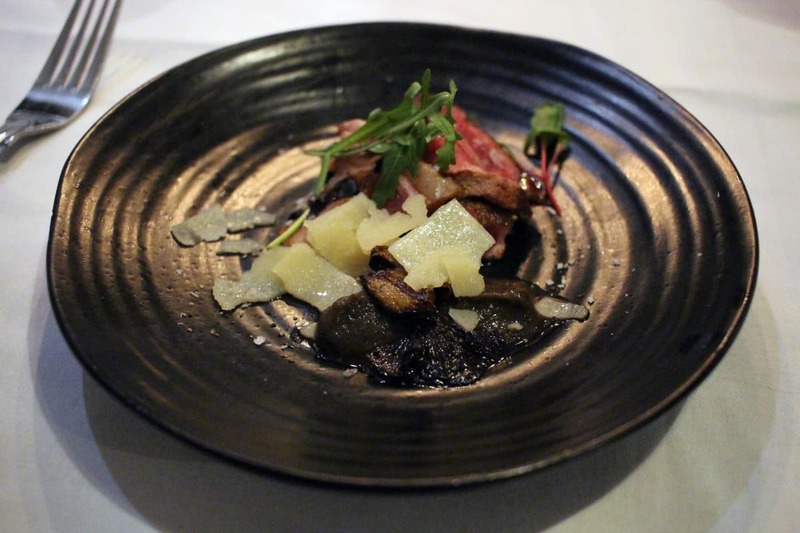 In between our starters and our mains we were given an interim course of rare beef, mushrooms and parmesan which was unexpected and delicious. 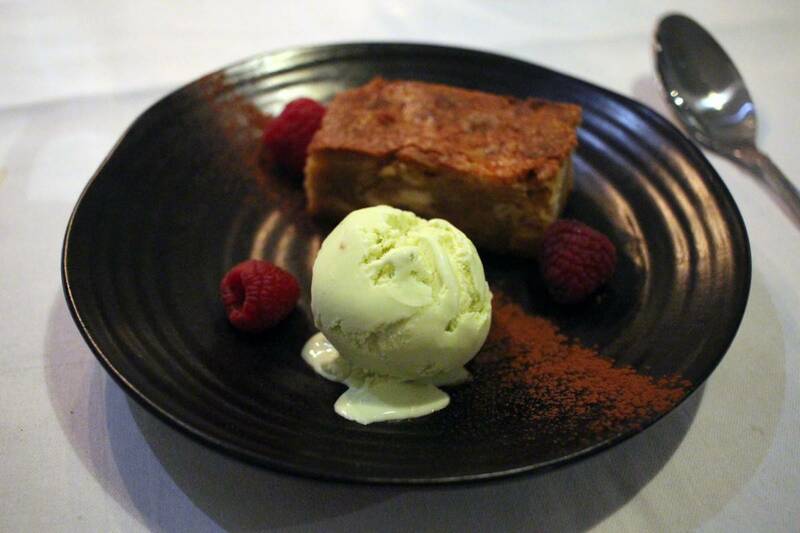 It was a good size for an additional course and kept the meal flowing really well. 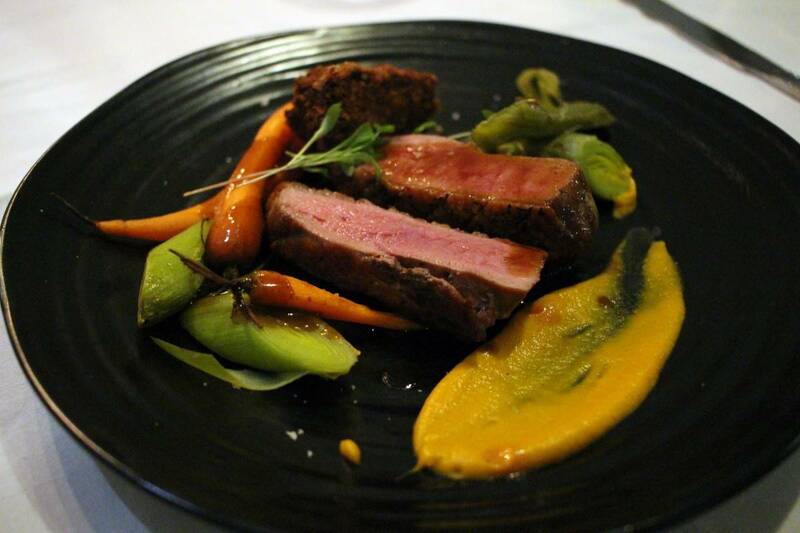 My main was the English Duck Breast which was cooked pink with a crispy leg nugget and carrot, leek and a honey malt jus. This dish had amazing flavours. Every bite tasted great and I could have eaten it again. Dave and I also ordered sides of french fries and roasted parsnips and carrots. These were really good portion sizes and complimented the meal perfectly. 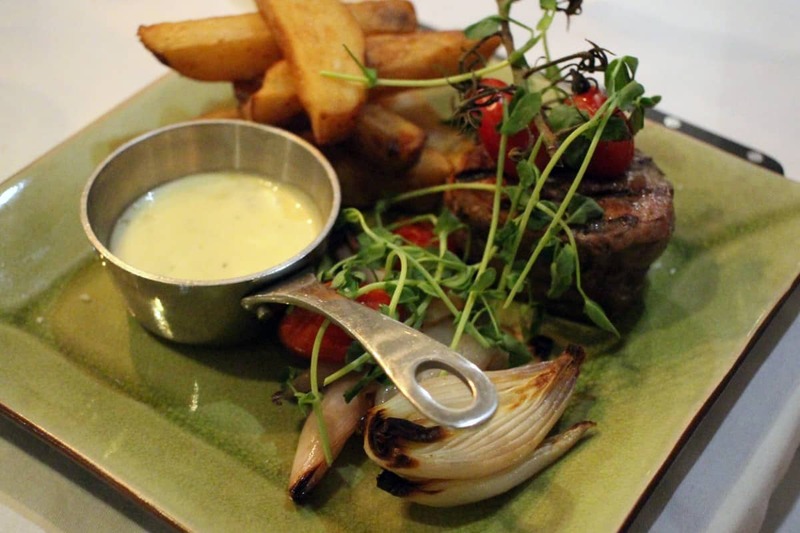 Dave’s main was the Fillet Steak served with a blue cheese sauce. His meal was an absolute picture it looked perfect, served with triple cooked chips, roasted shallot and vine tomatoes. It was one of the most beautiful steaks we have been served in a restaurant and he enjoyed it immensely. 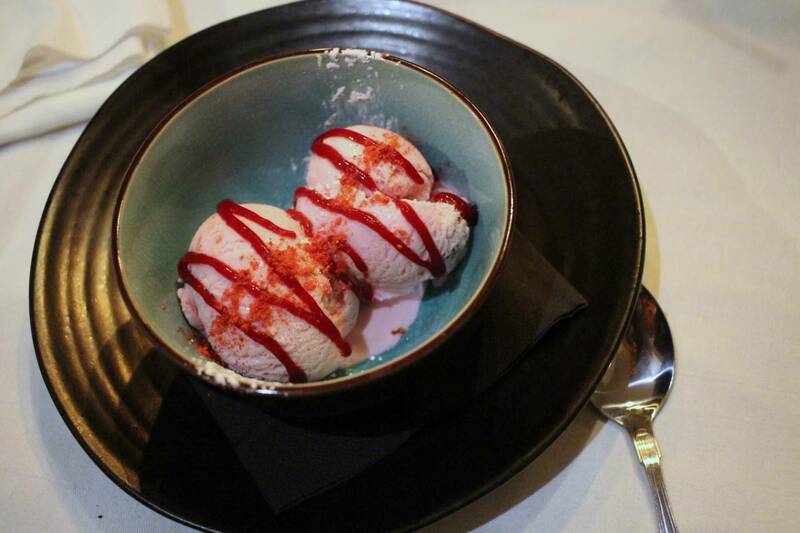 For desserts the children simply had strawberry ice cream but it was served so elegantly with sauce and sprinkles. It looked lovely and the children thought it was the perfect way to finish their meal. I went for the Warm Blondie served with pistachio ice cream and raspberries and Dave chose the Chocolate Cherry Delice served with white chocolate ganache and a honeycomb crumb. Both were good portion sizes with wonderful flavours and we would both order them again in the future. 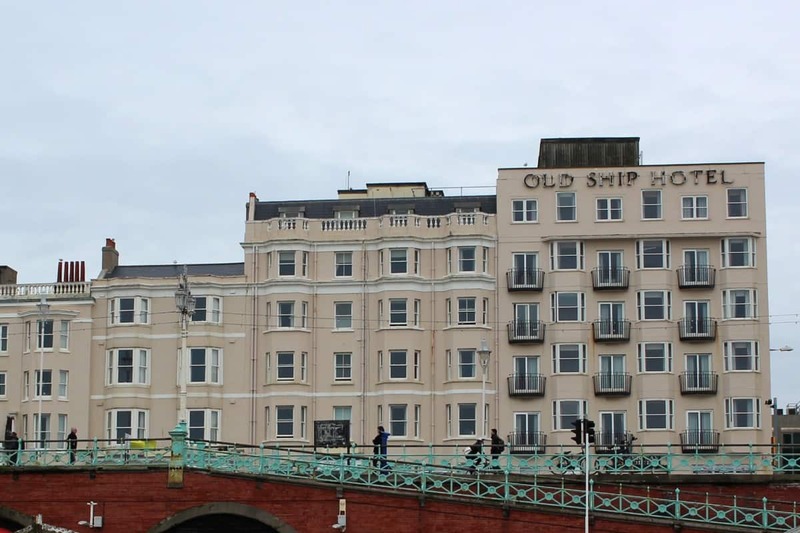 How did we sleep at The Old Ship Hotel Brighton? It was then time for bed. Having a seperate bedroom for them was a complete luxury – being able to put them to bed and then watch TV and relax is something we will never take for granted – and I wish more hotels offered interconnecting rooms. The children’s room was pitch black when they went to bed creating the perfect sleeping atmosphere for them. Their room was also set back from the road and they had a great night’s sleep. Our room though was facing the road – which is the busiest road in Brighton and full of nightlife. The curtains didn’t keep all the light out and I think our french windows didn’t close as tightly as they should have and because of these factors Dave and I didn’t have the best night’s sleep. The bed was really comfortable and the pillows and duvet were perfect – it was just the noise and light which were an issue – combined with the busy road and late night revellers. This wouldn’t put me off staying at The Old Ship Hotel in the future but I would request a room further back from the road. The next morning we were in for a treat with breakfast. 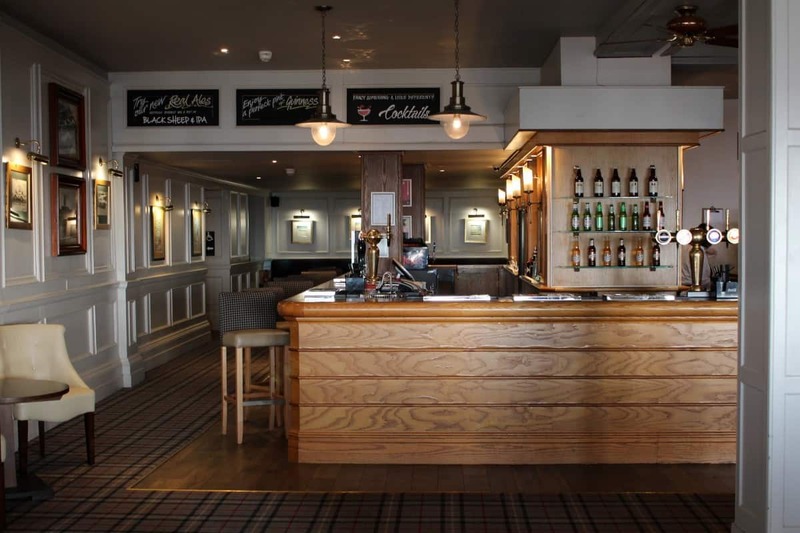 The Old Ship Hotel offers a full buffet breakfast of cooked options and a continental selection of bread, meats and cheeses, fruit, yogurt and cereals. Plus, they also have other items, at no extra charge, that are cooked to order. 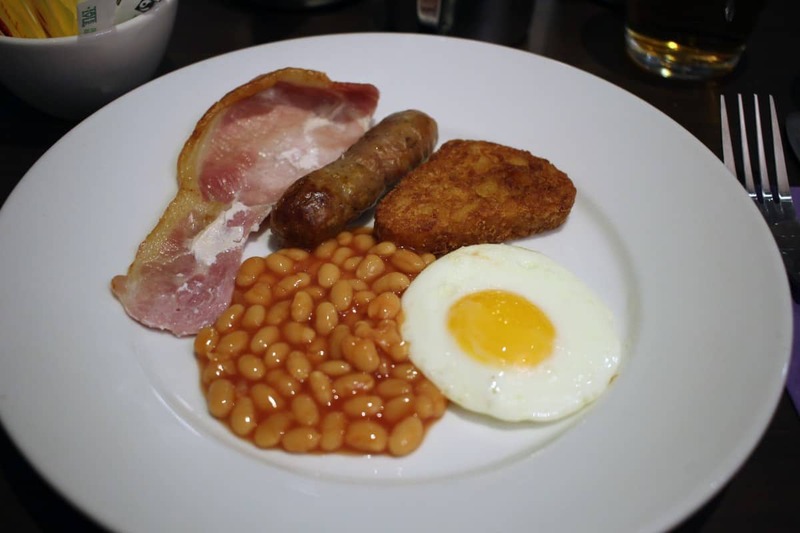 This included things like porridge, boiled eggs and soldiers or scrambled eggs and smoked salmon. 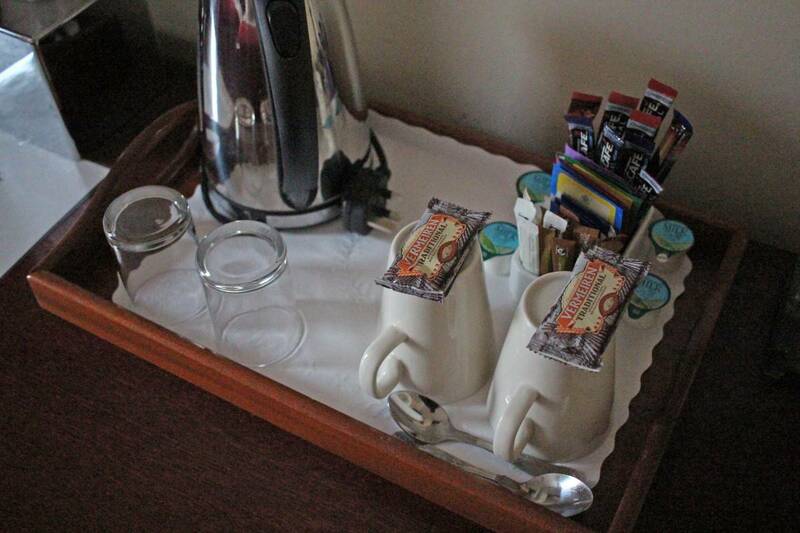 It really was one of the loveliest spreads we have come across in a hotel. On top of that, the gentleman clearing our plates and bringing tea and coffee was one of the friendliest and happiest people in Brighton. 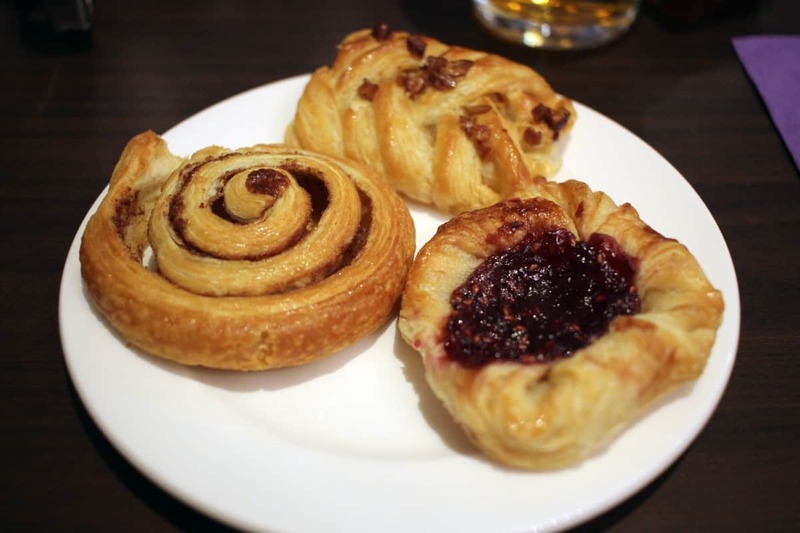 The food paired with the lovely service made for a perfect way to start the day. Checkout wasn’t until 11am and so we were able to relax and take our time which was nice with two young children. 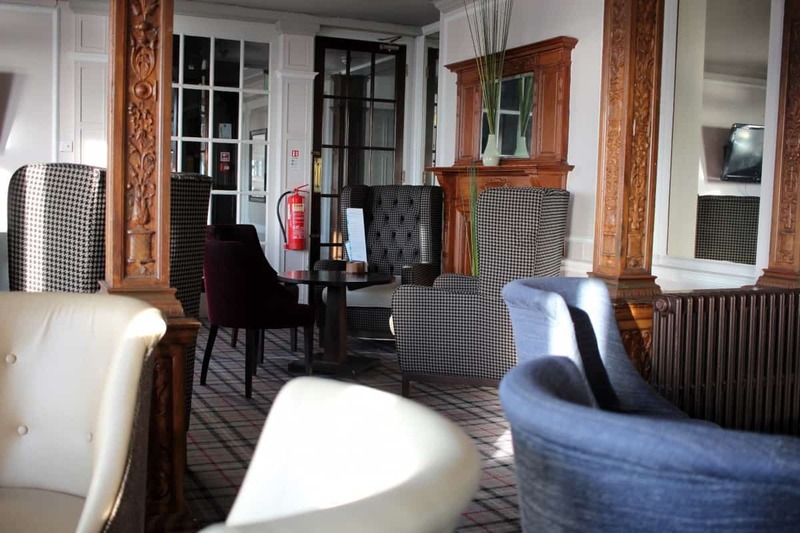 They enjoyed making use of the seating areas in the hotel foyer and when it came to check out they loved using the revolving doors at the front of the hotel for the last time. 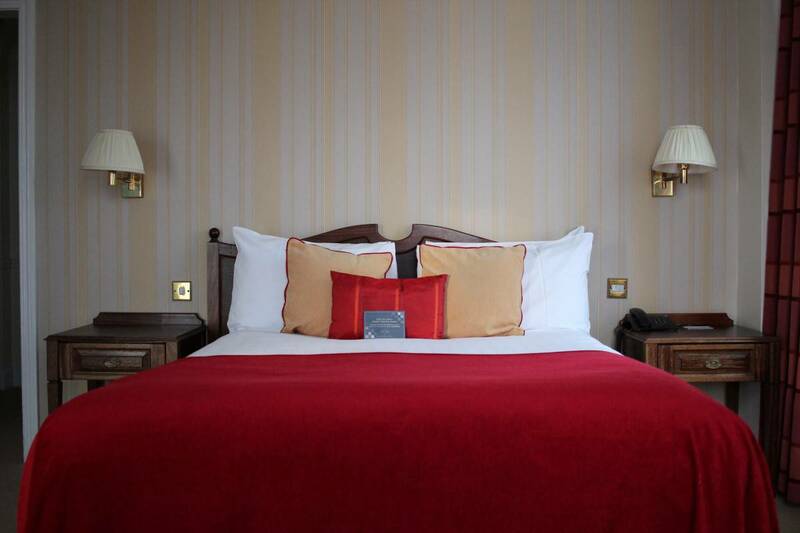 The Old Ship Hotel is perfectly situated for a break in Brighton and the city has so much to offer – from shopping and nightlife, to tourist attractions like the British Airways i360 and the Brighton Pier. 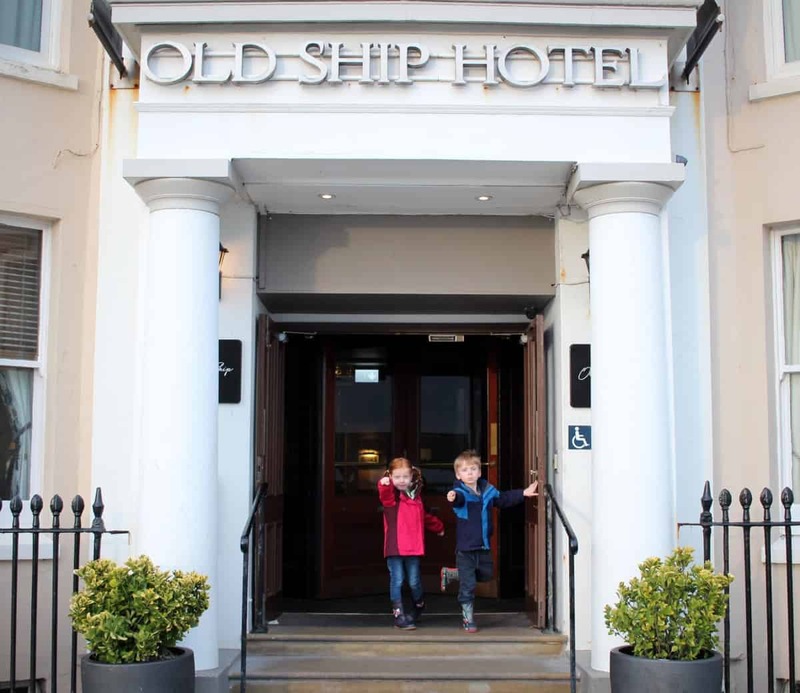 If we stayed overnight on our next trip to Brighton we would definitely choose to stay at The Old Ship Hotel again. Oh I fall for this every time. Merrily flicking through your posts of a lovely hotel and BOOM! Breakfast photo. And now I’m instantly hungry. 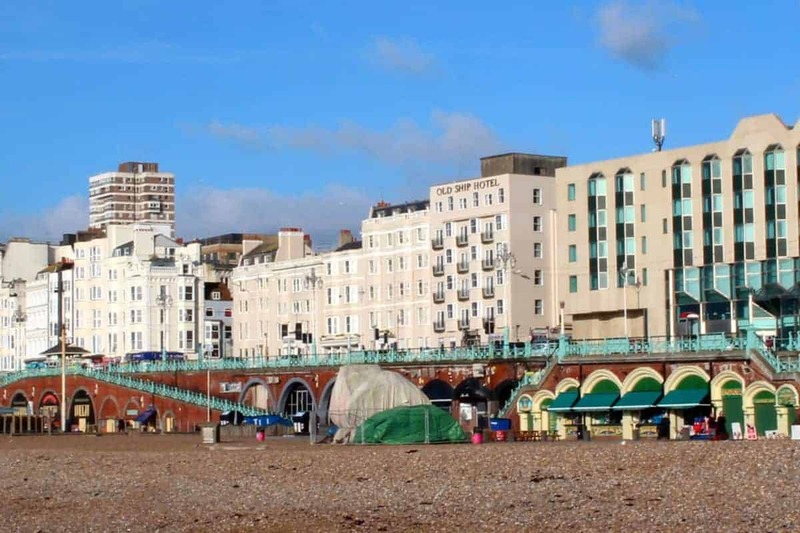 Looks like the perfect place to stay, I can’t wait to visit Brighton, my cousin lives nearby and is moving quite soon so I want to visit this year before he moves. It’s a shame you didn’t have a great night’s sleep, maybe the hotel is better suited to people who are there for the party rather than families. The interconnecting rooms sound great though. Those beds! (Can you tell I didn’t get a great night’s sleep last night?) It looks like a really comfortable hotel and the food looks amazing. Shame you didn’t get a great night’s sleep, hopefully the breakfast, and just the break away made a big difference though. I’ve stayed here before although I don’t remember a great deal about it as I split up with my then boyfriend that night and got drunk. I do remember the beds being super comfy though! I love Brighton, I’m sure I’m due a road trip soon. Oh that food looks worth going for alone. Shame about the noise though.